Robert Shapiro has grown up with the experience of extraterrestrial and extradimensional contact. From age twelve he has had a series of personal UFO contacts. Throughout his life there has been communication with beings from several star systems and dimensions. The development of his career and lifestyle has come as a direct result of this communication. Robert has been a professional channel for over twenty years, and although he can channel almost anyone or anything with an exceptionally clear and profound connection, he most often channels Zoosh, a great being who has been inspiring and guiding humanity for "about a trillion years". Robert's great contribution to our understanding of the history, purpose and destiny of humanity is his 13-volume epochal work, The Explorer Race series. He has also gifted us with the remarkable three-book Shamanic Secrets series: Material Mastery, Physical Mastery and Spiritual Mastery. 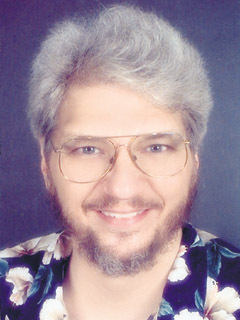 When he is not channeling, Robert is a shaman and spiritual teacher in his own right who lives in Hawaii. Robert's books are available for purchase through the Light Technology Publishing online bookstore. Click here for more work from Robert Shapiro.